Photos courtesy of Pavement Coffeehouse. 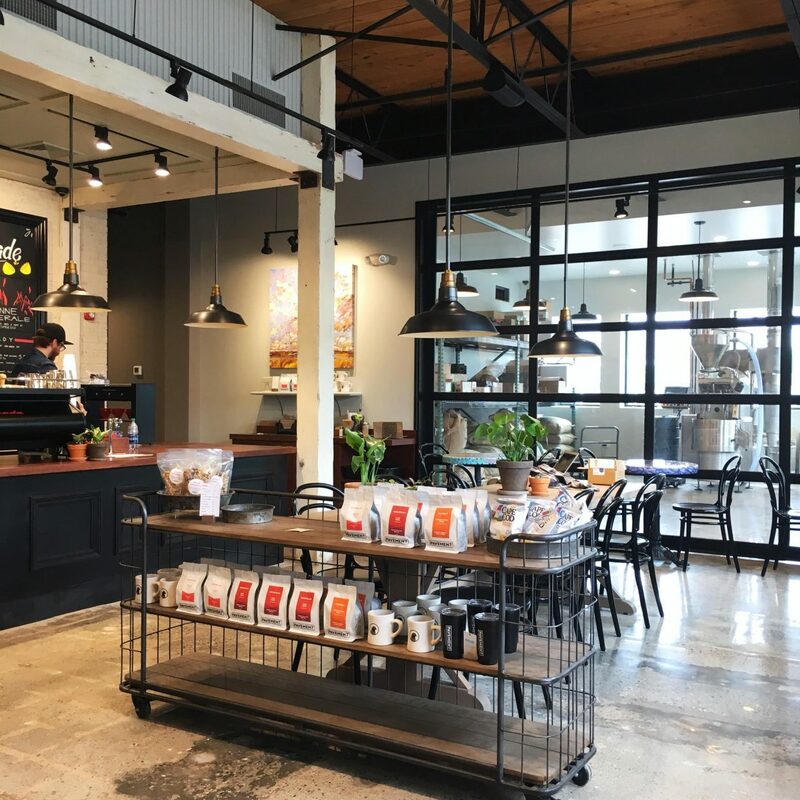 Boston’s Pavement Coffeehouse has cobbled together its most expansive facility to date, a more than 5,000-square-foot roastery cafe, kitchen and headquarters in Brighton. 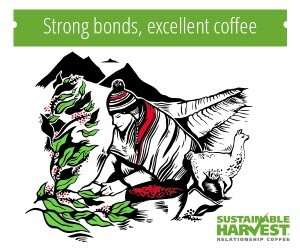 “Getting all of these pieces of our business under one roof was a challenge, but we’re already seeing the benefits of bringing these operations together,” Pavement Coffeehouse Director of Coffee Wolf Marnell told Daily Coffee News. 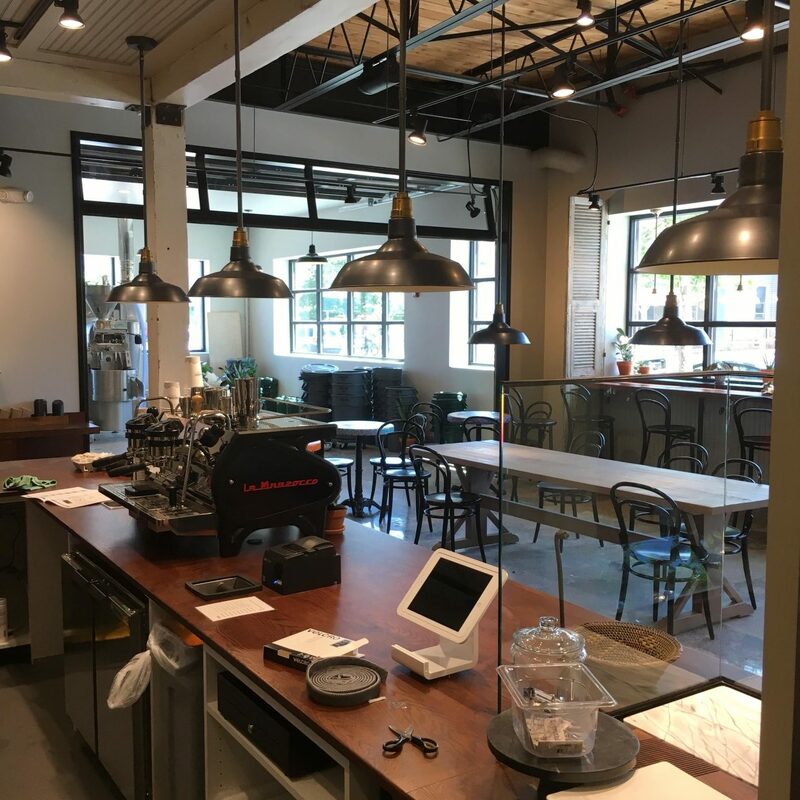 A major feature of the new space is Pavement’s brand new roasting operation, with the production area plainly visible to customers through a glass garage door. The new Brighton shop will also serve as a kind of test kitchen, where menu items will be introduced before rolling out to Pavement’s six other locations. 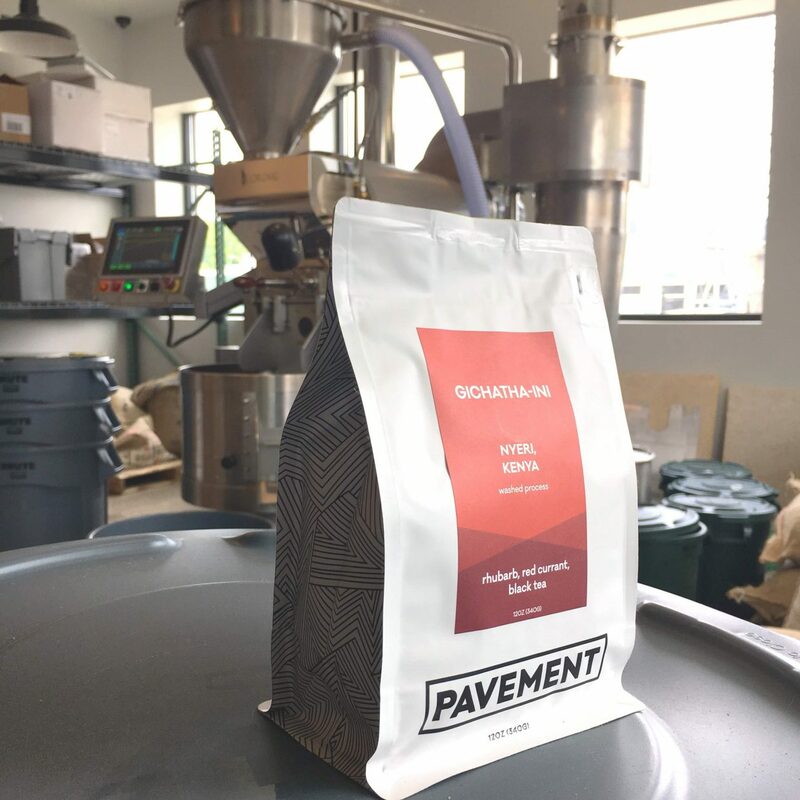 After serving exclusively Counter Culture Coffee for the past six years, Pavement began roasting its own coffee this year, with help from Philadelphia’s Passenger Coffee until a roastery of its own was complete. Marnell is leading Pavement’s roasting and buying efforts, with assistance from Matt Olson, formerly of Treeline Coffee in Montana, who Marnell said has been especially instrumental in the day-to-day operations at the roastery. The new roastery includes a Loring S15 Falcon, which Marnell praised for its energy efficiency, ease of use, and consistency. 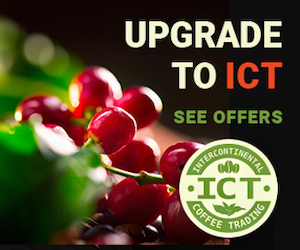 Sourcing its coffees primarily through Collaborative Coffee Source, Pavement is currently buying its coffees from Brazil, Colombia, Guatemala, Kenya, Ethiopia. Opening in a densely populated area of Brighton that’s just a mile-and-a-half from the company’s original bagel shop location, Pavement has seen steady traffic since opening, Marnell said. Pavement plans to also add a cafe in Harvard Square later this summer, joining other vendors in the newly renovated Smith Campus Center. 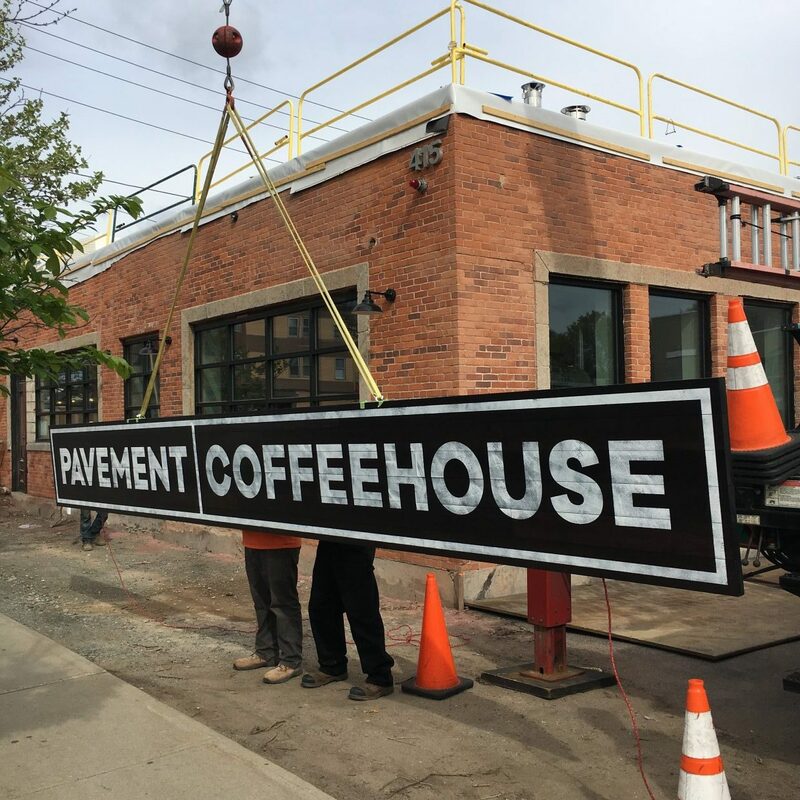 The Pavement Coffee House roastery cafe is now open at 415 Western Ave. in Brighton, Massachusetts.